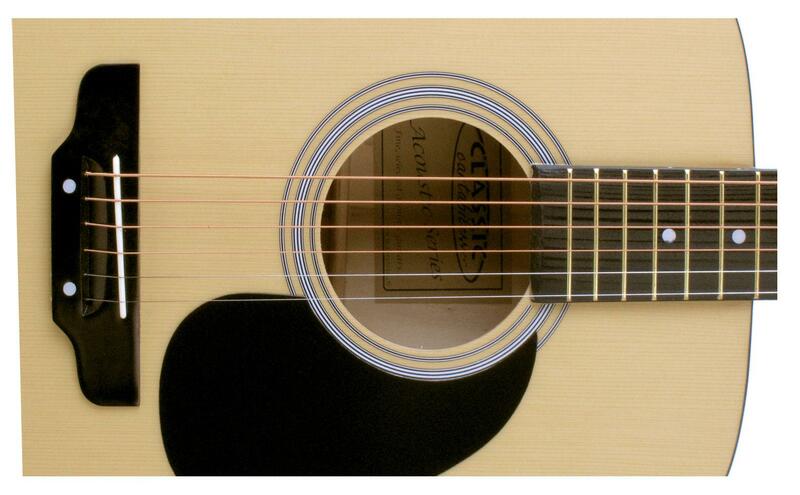 Dreadnought guitar with beautiful dreadnought body! 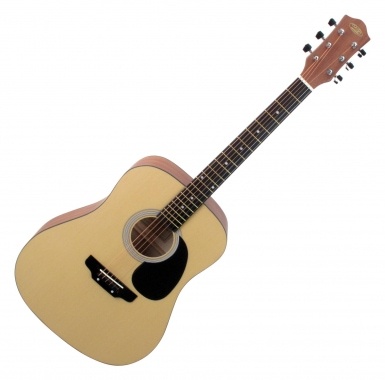 The Classic Cantabile WS-3 is a great sounding acoustic guitar and an eye catcher. Whether on stage, campfire parties or at home, with the Classic Cantabile WS-3 you and your listeners will have fun. 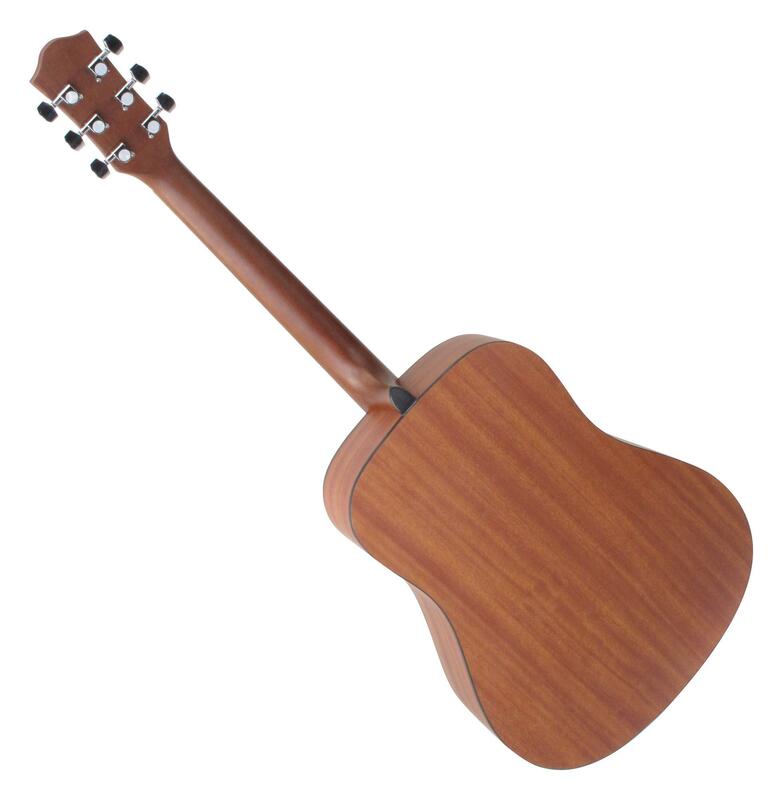 The handmade mahogany body with a spruce top provides a full, mellow tone and excellent response. 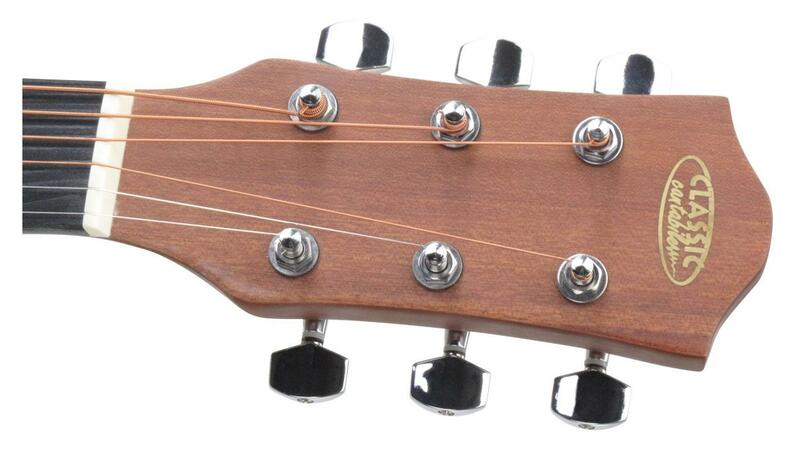 The neck and bridge are made out of mahogany. 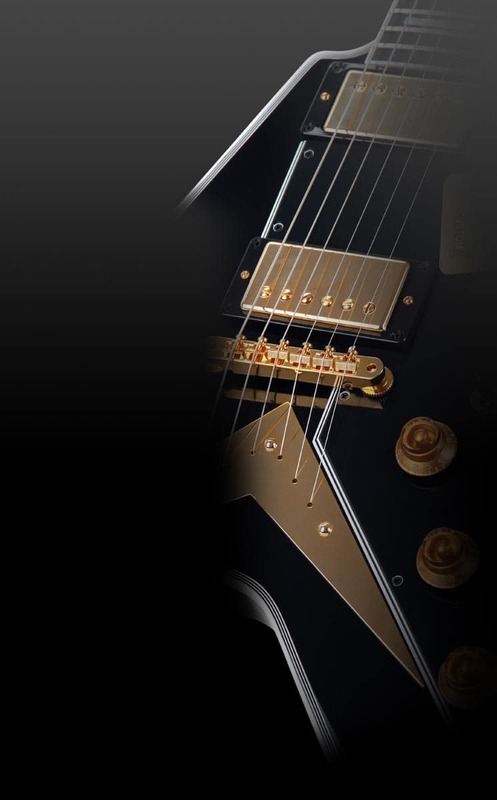 A black pick guard protects the finish from scratches, as well as the top. 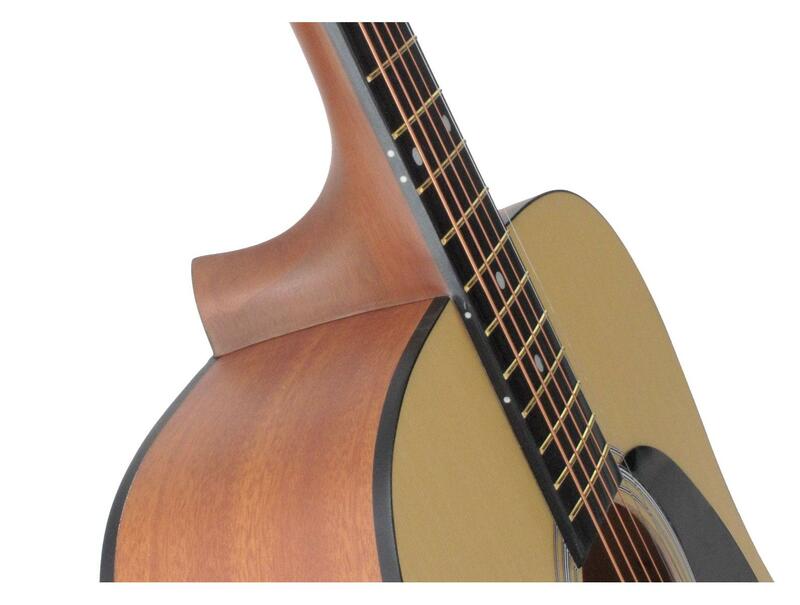 With this beautiful instrument, you will have lots of fun!